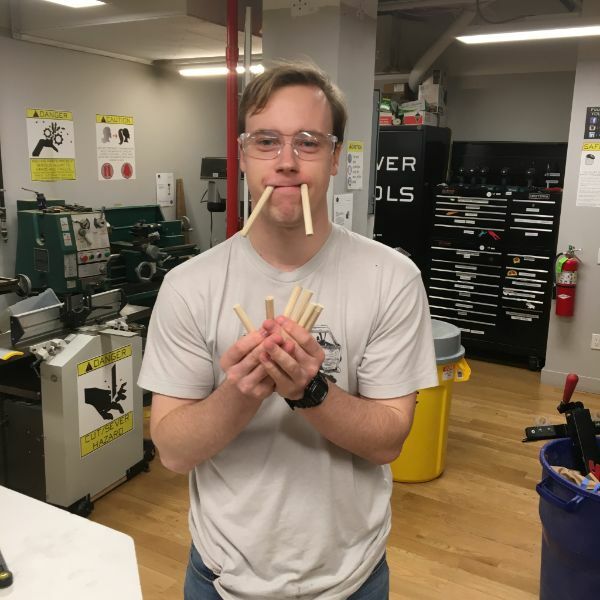 MFA Products of Design second year, Ben Bartlett, was on the Shopbot and bandsaw cooking up a design experience. He is creating a pegboard which will be painted different colors. People will insert pegs into the board and each peg will be labeled signifying the different values they prioritize.